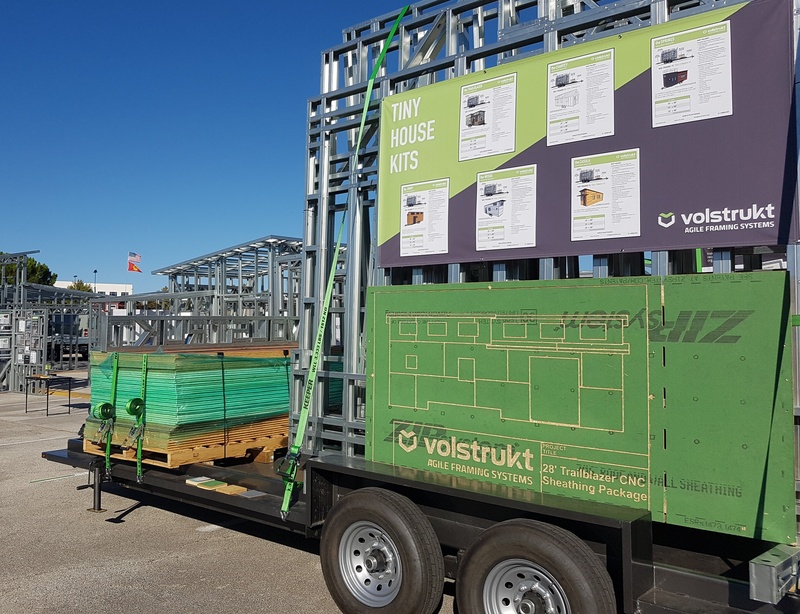 Attending this keynote event since its inception, Volstrukt’s Austin-based team took advantage of the Jamboree’s new home up the road in Dallas, Texas to showcase its full range of lightweight steel framing solutions for tiny and modular houses. Since attending the first Jamboree in 2015, Volstrukt has designed and manufactured over 200 tiny houses for DIY and commercial builders across the USA using the world’s most advanced rolled form steel manufacturing system. 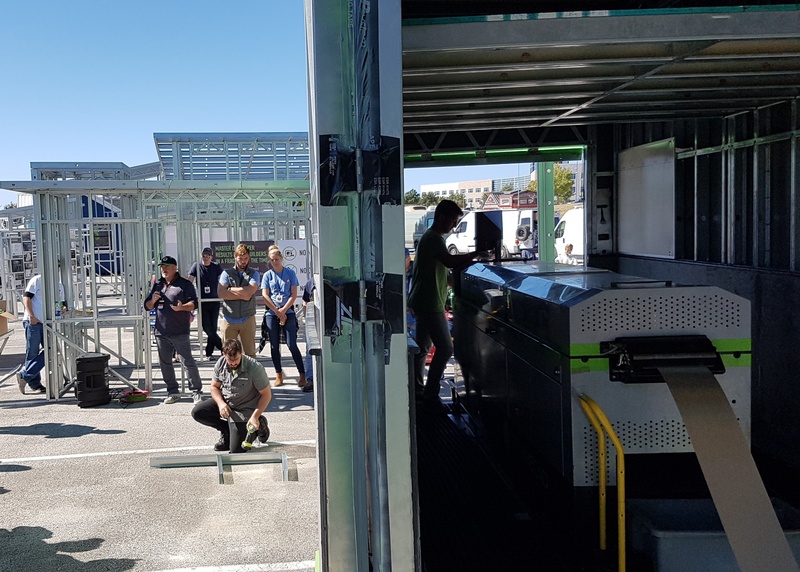 In addition to the Volstrukt frames on display, visitors were also able to meet Volstrukt partners and customers who between them had eight tiny homes on display with Volstrukt framing inside. "Build as a vehicle first, then a house second." 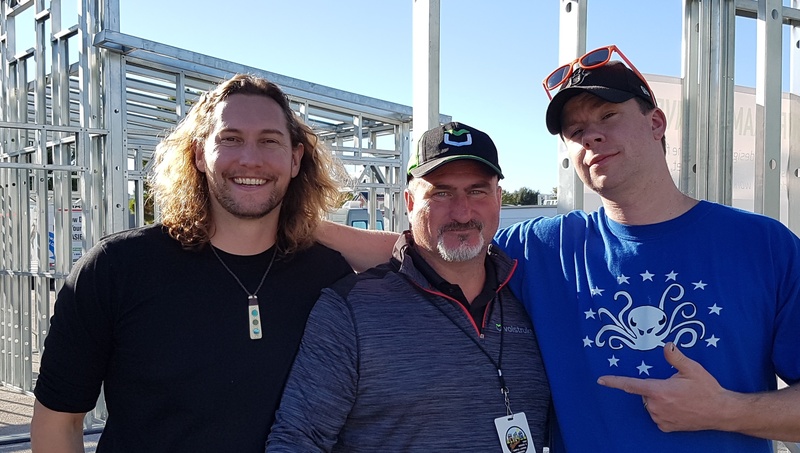 Bryce used roll formed steel framing in his first tiny house build in 2014, the videos for which caught the attention of tiny housers across the Pacific and created interest in a relatively unknown construction method in the USA. “At that time, we were focused on bringing our lightweight steel PocketShop and retail systems from Dubai to the USA,” recalls Marc, “when we started getting enquiries to build tiny houses with roll formed steel framing. Bryce used the Framecad system, also from New Zealand, which was the same system we had used in the Middle East and had just set up in Austin. The need for structures that are engineered to ‘go down the road’ is at the heart of Volstrukt’s offer, and the superior design and engineering capability of the Framecad system is what sets Volstrukt’s frames apart from both timber and less sophisticated steel framing systems. Volstrukt’s recently launched “Self-Build Kits" were on display for the first time at he 2017 Jamboree. Designed for do-it-yourself builders to quickly get their tiny house projects well underway, the kits combine a trailer, engineered lightweight steel frame, pre-cut-and-drilled sheathing, and all the hardware and instructions needed to complete the structure. Volstrukt's new Tiny House Self-Build Kits: Trailer + Engineered Frame + Cut-to-Match Sheathing + Hardware, popular with do-it-yourself and commercial builders at the 2017 Tiny House Jamboree. Popular with future tiny homers, plenty of tiny house builders also showed interest in the kits as an extension to their tiny house build offers. Tiny House Chattanooga and Soutwest Tiny Homes, who already build on Volstrukt framing, were both exhibiting at the Jamboree and are early Resellers of the Volstrukt Build Kits. Also debuting at this year’s Jamboree was Volstrukt’s Mobile Framing Factory, an initiative that combines our expertise in tiny house construction with our rolled form steel capability into a production facility that can be deployed wherever large volumes of lightweight steel framing is needed. The unit is framed with Volstrukt’s 20 gauge, high-tensile galvanized steel on a 28’'+8’ gooseneck trailer and houses a generator, steel decoiler and roll forming machine. 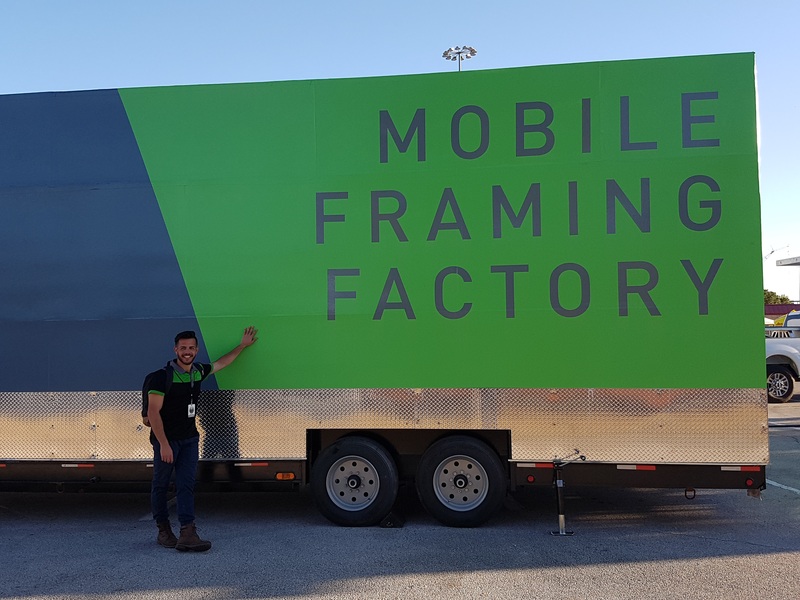 Following its trip to Dallas, the Mobile Framing Factory is headed South to start supporting the people of Houston rebuild homes lost in Hurricane Harvey. Manufacturing lightweight steel frames on loction at 2017 Tiny House Jamboree with the Volstrukt Mobile Framing Factory.